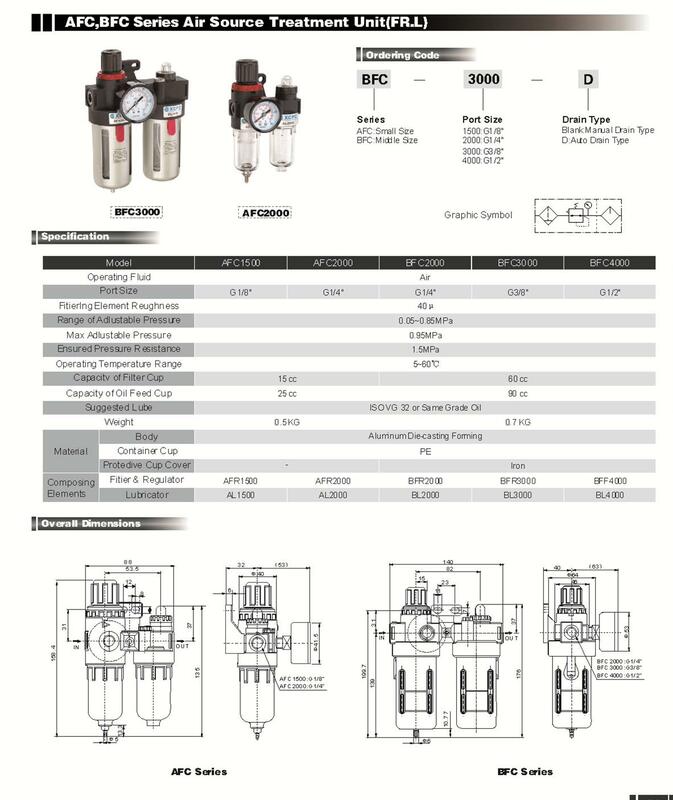 Fastek USA BFC-2000 FRL is a high quality unit with bowl guards, Gage, Bracket, and Semi-Auto Drain as Standard. 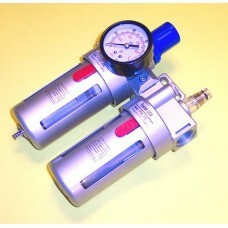 The Semi-Auto Drain opens every time supply air pressure is shut off and releases anything that is in the filter bowl. There is also a auto drain available at an additional price. Please contact Discountairvalves.com for any questions at 248-366-7700.